Where we discuss all Doll wants & needs! anyone know if she is an exclusive to walmart? just wondering because usually stuff that is has a sticker that says only at walmart or something to that effect..
Who are you looking for LuvlyMelody? A few days ago, I've had this sudden urge of wanting to get Spectra more then usual can't explain why lol. So I'm basically looking for Spectra and Abbey and after seeing the latest webisode, now I REALLY want Abbey more than usual. So hopefully tomorrow I'll try to go out early and hope that tomorrow will be a shipment day at TRU or Target or Walmart in my area. 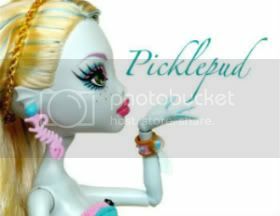 Holy wow, Picklepud, 8 posts. lol XP The arena must really be buggy. Someone was asking about Spectra's shoes. I read on LJ that someone suggested pushing the chains up her legs first, then put on the shoes and then pull the chains back down. Your Abbey is lovely, pickle! I keep going through phases of wanting her and then not wanting her. I hope she comes out in a cute outfit and slightly different make-up soon, I don't like her SS version much at all. Congrats bewilderness!! I'm still trying to get her, is she as cute in person as her pics? Definitely! She's one of my favorite versions of Frankie now. The shoes, the pincushion bracelet, the dress that looks like something a first-time sewing student might make (with just half a collar XD), and the little scissor earrings! <3 I was originally going to get the set and sell the doll, but Frankie with bangs has really grown on me. Found the series 2 Lagoona on Amazon for $17.99 today! Majorly happy...just a few more to go and I can take a break till Operetta comes out. 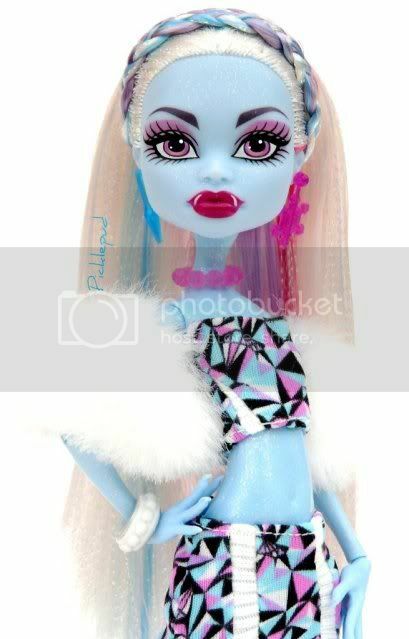 Just a quick question: Would anybody have the DT Lagoona (just her not the hydration thingy) or a fear leading Ghoulia they would care to part with? I hear with stubborn shoes you can soak them and the doll's feet in hot water to get them softer so they're easier to put on. *sigh* and just when I think I couldn't want her more lol Pics?